Coworking spaces are all the rage! In fact, Petalfox began it’s life inside a coworker space. Being nurtured and developed in a unique environment where our #FemaleFounders could grow their business and have the best space to do so. If you don’t know, a coworking space is simply a fusion between a corporate office, a trendy boutique space, and your favorite coffee shop. Maybe this sounds a little crazy, but it’s true! You get the best of [all] worlds. We really don’t know how these didn’t start sooner! Here are our top 4 reasons why you should join a coworking space near you. Most coworking spaces have a couple of different options available for you to rent. There are “hot desks” which means you have the opportunity to sit wherever you would like around the office, but you do not have one designated area. This is the lowest in cost option, generally around $250-$350 a month to rent. This would come with general accommodations, facility use, networking, and a place to call home. We recommend this option if you are in freelance work, or travel often and need a place of your own. Next would be a personal desk and the option to receive mail. With this option, you have the luxury of all the space and facility, with a personal place to set up shop and leave your belongings overnight. This is a semi-permanent option that usually comes with a few more accommodations compared to a hot desk. Generally, this may cost between $400-$600 a month. Finally, a personal office (with a door!) Most spaces have reserved rooms and private small offices. This type of office offers a little more luxury and stability, as you can have team meetings, privacy, and a lot more personal space for storage, desks and whatever else your business may need. This is what Petalfox was able to move into just recently! Depending on where you are, this could cost upwards of $950 a month! From dozens to hundreds of connections in just one coworking space! 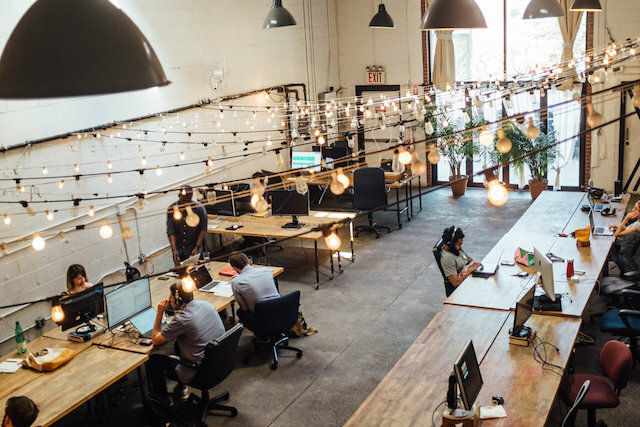 Because there are so many different types of seating arrangements and desk styles in one coworking space, there could be dozens to hundreds of freelancers and businesses in your very office! These are people you are “rubbing shoulders” with every day. Super cool! If you care about how many people you are working near, pay attention to what kind of coworking space you are researching. If you are looking for a more private coworking office, there may be less space which may mean less businesses to connect with. If that is something you prefer, perfect! The larger spaces like WeWork and The Wing may have more connections because they are more well known! Remember when we mentioned the beautiful boutique-styled rooms mixed with the coffee shop vibe? This is what we mean! 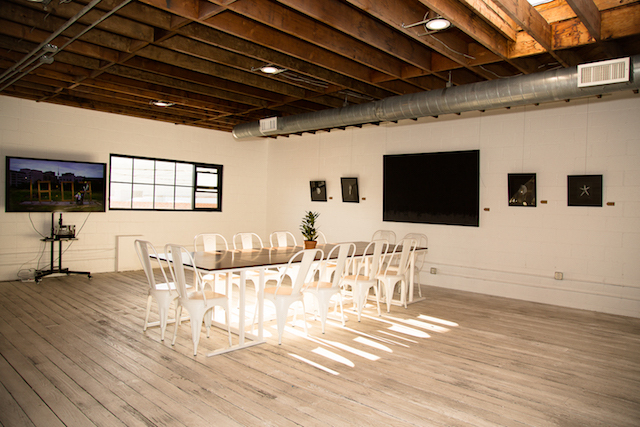 We can’t lie, our favorite asset to most coworking spaces, is their beauty. As these environments are becoming more popular, they are designed for creativity and curation. Many spaces know they are attracting freelancers, small businesses, millennials, and artists who all desire a beautiful space to reflect and execute in. Beauty and design is crucial to their space because it allows for the office to be a place of creating content. If you’re taking pictures for a quick product design, headshot, BTS pic, or simple instagram story - your space should be set up and easily accessible to do so! This has been a feature in our coworking experience that we just couldn’t live without! It is also a great way for these offices to compete in the industry. Who can be the trendiest?! We aren’t complaining! Like an all-in-one resort… but for your business. Generally speaking, coworking spaces come with all the accommodations of the office you would hope to have and the fees are built into the cost! This means you have access to things like bathrooms, a kitchen or kitchenette, coffee stations, printers, copiers, wifi and other office necessities. The best part is that most spaces also have different types of meeting rooms and creative studios that you can access (or rent!) Each set up is different, with different styles and sizes of private meeting rooms. There are board rooms that would hold 12 - 20 people, to personal brainstorming session spots, for a team of 2 - 5 individuals, and even phone booths for your private calls. Some also include photography walls, art studios and curation spaces! Working so close to others in any setting creates for intimate revelation of each others… habits. We decided to share our dirty secrets about how to politely escape and take care of *things* the best way.